Window Tinting that looks hot and feels good. We’re offering up to $35 off window tinting for the month of March. Improving comfort, protecting vehicle interiors and the people who occupy them is a hallmark of 3M Automotive Window Films. 3M invented window films in 1966 and our innovative window film products have provided protection from the sun’s harmful rays for more than 40 years. Whether you’re looking for breakthrough heat-rejection technology in a clear film or simply to minimize the harmful effects of the sun, 3M Automotive Window Films are an ideal choice. While comfort and style are paramount, our non-metalized film options can also help you stay connected and protected with SPF factors exceeding 1000. Put the innovation of 3M to work for you. 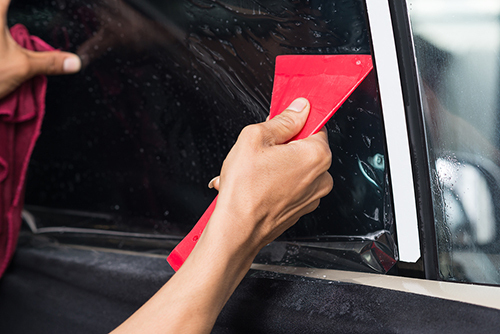 3M Automotive Window Film keeps your car cool and comfortable with less drain on your car’s air-conditioning. It also blocks out 99% of the sun’s harmful UV rays which minimize damage to you and your car’s interior. In fact, the Skin Cancer Foundation recommends many 3M Window Film products as effective UV Protectants. 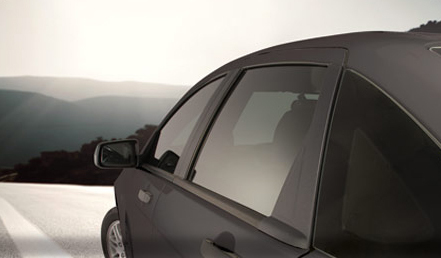 Window tinting offers your vehicle some definite advantages. First, it protects against UV sun fade and helps keep your car cooler during the hot summer months. It reduces sun and snow glare. Finally, it keeps your vehicle contents discreet and private. The problem is that do-it-yourself kits or tinting that is put on incorrectly by other shops can bubble, peel, or not fit correctly when finished. Z-One can solve all of these problems. Using our precision-guided computer cutting system we get custom fitted tinting designed especially for your vehicle that fits perfectly. With our system, your tinting comes out to the exact tint and accurate fit that is applied cleanly the first time. Professional installation ensures consistent dark color without odd tones or bubbling. Our tinting is warranted against bubbling and peeling. 3M Company manufactures multiple lines of auto tint that perform different solutions at different price points. 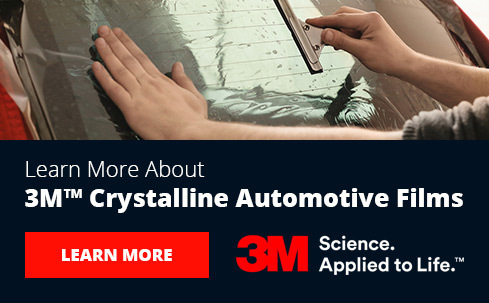 3M automotive window films are not available in DIY and must be installed by a 3M-Authorized Dealer / Applicator. Don’t settle for anything less! 3M Color Stable’s appearance rivals tinted factory glass, never turns purple, and provides high heat rejection with no signal interference! 3M’s revolutionary nano-carbon polyester provides an incredible look, amazing color stability, and is non-metalized to ensure no signal interference. While most other window film companies buy their polyester from someone else, 3M makes its own polyester. During this process, 3M patented a technology for producing its own nano-carbon polyester. This revolutionary and unique process allows for maximum heat rejection without a metalized film, which can interfere with radio and satellite signals. It also gives our films a stylish look with outstanding color stability. In fact, it’s so advanced that in time-based tests, 3M Color Stable films never turned purple while conventional dyed films rapidly changed to a purple color. Solar heat comes from two primary sources, the visible light you can see and the infrared light you can feel. Crystalline window films reject up to 97% of the sun’s heat-producing infrared light and block up to 60% of the heat coming through your windows. These industry-leading, spectrally-selective films are designed to keep you cool, comfortable and protected. Designed to maintain the appearance of your car, Crystalline films allow up to 90% of the light into your vehicle. Because these films are non-metalized, you can be assured of zero interference with GPS or cell phone signals. NOTE: The law on auto tint varies by state. Please to go to the International Window Film Association to check your state’s laws. Or, ask our friendly staff for films approved for use on vehicles.